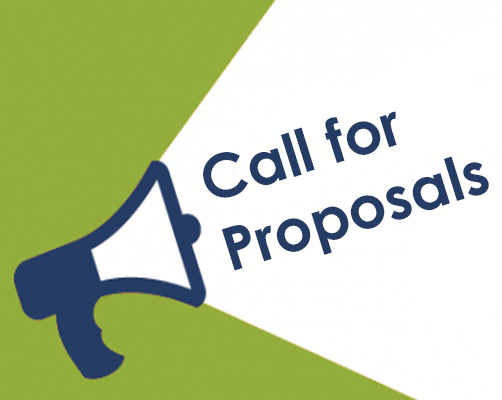 The Ohio Psychological Association invites program proposals for the 2019 Annual Convention. This year’s Convention theme is “Working Together to Build a Culture of Understanding.” We invite you to be a part of this annual event known for its excellent programming that addresses issues facing Ohio psychologists. Read through these guidelines carefully to ensure that your proposal meets the criteria. Submissions must be submitted by 5 p.m. on Thursday, October 25, 2018 for consideration. Incomplete submissions will not be reviewed. The OPA Convention is an annual, three day event combining networking, continuing education, academic-related and OPA membership events. Now taking place each spring, the Convention typically attracts over 350 psychologist attendees, reputed speakers and presenters, student poster presenters, exhibitors, sponsors, award winners and guests. The 2019 Convention will be held April 24-26, 2019, at the Quest Conference Center in Columbus. As the result of a survey conducted by OPA’s Education Committee, the following topic areas were designated to be of high interest. Please note the following topics are suggestions, other topics related to the convention theme are welcome. Interdisciplinary themes are encouraged. Recent research and practice in building resilience and coping skills to address depression and anxiety. Early detection of suicidality among youth and high risk populations. Suicide prevention strategies. Preparing to perform an Independent Medical Examination (IME) for the Social Security Administration, BWC, the Industrial Commission, etc. Psychology’s role in addressing the opioid epidemic. Is psychology missing the boat when it comes to treating substance abuse and addictions? To participate in this conference, please submit a compelling presentation proposal that supports the field of psychology. OPA is committed to supporting the personal and professional lives of psychologists throughout their lifespan, from student status through retirement. Presentations for all experience levels are welcome. OPA is committed to diversity and multiculturalism. ALL presentations are expected to address the needs of a diverse population. Presenters are required to explain, as part of their proposal, how their workshop addresses and/or integrates diversity issues into the topic. OPA expects ALL workshops to contain elements of ethics and/or cultural competency. However in order for a workshop to count as Ethics CE, ninety percent of the content must address ethics and/or cultural competency. As an APA approved CE provider, OPA adheres to their guidelines, and no partial credit is given. OPA supports and strongly encourages programs that allow for a collaborative style, address cutting edge research and create opportunities for thoughtful discussion. Please review the proposed presenter standards (https://ohpsych.site-ym.com/page/present) before submitting a proposal. Special attention should be given to the learning objective standards as outlined on our website. Submissions are due no later than 5 p.m. on Thursday, October 25, 2018. Presenters will be notified no later than November 9, 2018 of their proposal acceptance. In submitting a proposal, presenters accept responsibility for the time scheduled for their presentation and agree that they will meet all set deadlines. Call Karen Hardin, Director of Education and Communications, at 614-224-0034 ext. 15 or email at khardin@ohpsych.org.